For experienced professionals that offer window cleaning services at their finest; you can always trust that Cavalier Window Cleaning & Power Washing can get the job done to perfection. Screen cleaning is probably the last thing on your mind and would seem too tedious to do in the first place, but screens do get dirty and need washed and dried in order for continuous protection and to be able to leave your screen door open for fresh summer air. We depend on our windows and doors to let in fresh air during the spring and summer months. This often helps get the stale air out of the home. But after months of getting pounded by dirt and dust; the screens in our windows and doors need to be cleaned. We don’t bog down your screens with heavy spurts of water nor do we damage them in the process. What we do is take out the screens in your home, mix a safe solution together, and scrub them down until they are completely spotless. Along with the screens in your home; the window sills get dirty as well. We can do window sill cleaning in the home or office as well. It’s part of our professional services. Dead bugs and pet hair that have gathered along your sills will only continue to buildup if not taken care of. We clean the entire unit from top to bottom. 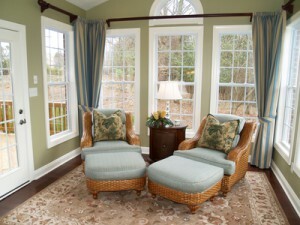 Your windows are an important asset to the home. They help protect you from harmful weather, keep the sun’s rays from directly hitting you and prevent heat from escaping from the home, but a dirty window cannot do that and looks ugly to those who pass by it. It’s tough keeping up with all the windows in the home. If you have a lot, then you know how hard it is to keep them clean. Window sills and screens are probably the last thing on your mind to clean when tidying up the home. When you have clean windows and sills; you’ll be able to feel a lot more comfortable in your office of home. You will no longer feel distracted by smudges on the windows or multiple dead insects lying within the window sills. If you want to enjoy the benefits of our cleaning services in Charlottesville; you’re going to have to call Cavalier Window Cleaning & Power Washing. We bring back that admiration you once had for your window screens and sills. If you are looking for Screens & Window Sill Cleaning Services then please call 434-823-1737 or 540-910-1434 or complete our online request form.